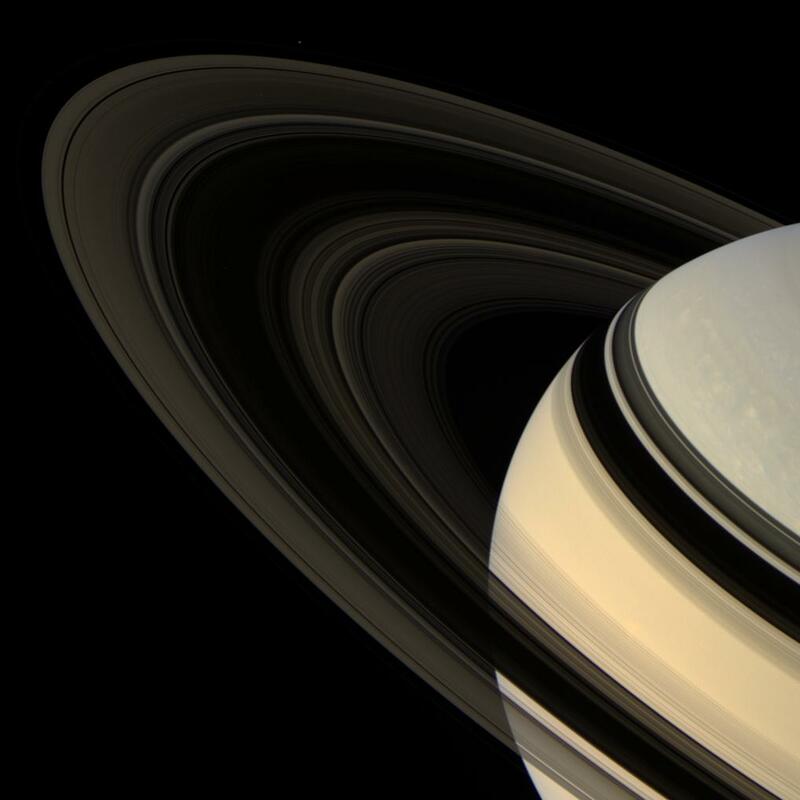 Colorful Saturn tilts its darkened ringplane toward Cassini. Against the dark sky, the rings are made visible by the light that scatters through them toward the camera. The F ring shepherd moon Pandora (84 kilometers, or 52 miles across) is faintly visible at the top, left of center. Pandora's brightness was increased by a factor of three to aid its visibility. This view looks toward the unilluminated side of the rings from about 18 degrees above the ringplane. The planet is visible through the innermost and outermost portions of the rings. Images taken using red, green and blue spectral filters were combined to create this natural color view. The images were obtained by the Cassini spacecraft wide-angle camera on April 13, 2007, at a distance of approximately 1.8 million kilometers (1.1 million miles) from Saturn. Image scale is 108 kilometers (67 miles) per pixel. For more information about the Cassini-Huygens mission visit http://saturn.jpl.nasa.gov/home/index.cfm . The Cassini imaging team homepage is at http://ciclops.org .